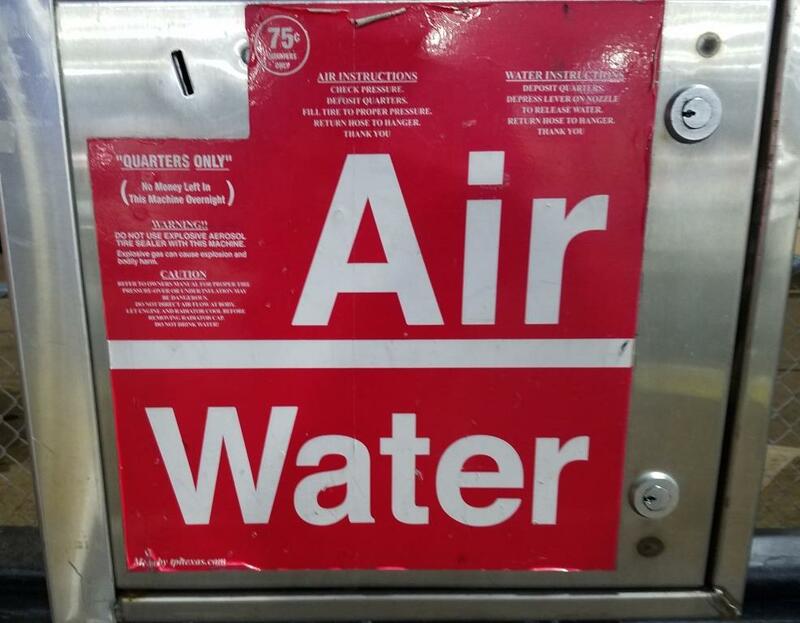 There’s a law that was passed in 1999, that made it a requirement for service stations in California to provide free water, compressed air and an air pressure gauge to customers who purchase fuel. A service station is defined as an establishment that offers gasoline or other motor vehicle to the public. So perhaps this post will save someone from unnecessarily paying 75 cents to $1.50 to fill up their tires. There is no requirement to provide the air for free to non-paying customers. Influenza (or flu) is a contagious respiratory illness caused by flu viruses. Most people with flu have mild illness and do not need medical care or antiviral drugs. If you get flu symptoms, in most cases, you should stay home and avoid contact with others except to get medical care. Flu viruses can cause mild to severe illness, and at times can lead to death. The flu is different from a cold. The flu usually comes on suddenly. People who have flu often feel some or all of these symptoms: Fever* or feeling feverish/chills, cough, sore throat, runny or stuffy nose, muscle or body aches, headaches, fatigue (tiredness). Some people may have vomiting and diarrhea. This is more common in children. Take Antiviral Drugs if your doctor prescribes them! Antiviral drugs can be used to treat flu illness. Antiviral drugs can make illness milder and shorten the time you are sick. They also can prevent serious flu complications. CDC recommends that antiviral drugs be used early to treat people who are very sick with the flu and people who get flu symptoms who are at high risk of serious flu complications, either because of their age or because they have a high risk medical condition. When you are sick, limit contact with others as much as possible. Remember to cover your nose and mouth with a tissue when you cough or sneeze, and throw tissues in the trash after you use them. Stay home for at least 24 hours after your fever is gone except to get medical care or for other necessities. *Your fever should be gone for 24 hours without the use of a fever-reducing medicine before resuming normal activities. Each year, hundreds of bicyclists in California are involved in a collision with a motor vehicle. Here are some important facts bicyclists and motorists should know. California vehicle code section 21202(a): Any person operating a bicycle upon a roadway at a speed less than the normal speed of traffic moving in the same direction at the same time shall ride as close as practicable to the right-hand curb or edge of the roadway. A bicycle ridden at night must be equipped with a lamp emitting a white light. There must also be a red reflector on the rear of the bicycle that must be visible from 500 feet when directly in front of a motor vehicle whose headlights are on. Riders under the age of 18 must wear a helmet at all times. All riders, regardless of age, should wear a helmet at all times to reduce injuries. No person shall drive a motor vehicle in a bicycle lane established on a roadway except to park where parking is permitted, to enter or leave the roadway, or to prepare for a turn within a distance of 200 feet from the intersection. Bicyclists must obey the rules of the road because they travel along the roadway with other motorists. It is important to note drivers and bicyclists must share the road. When making turning movements in a car or on a bike, use caution, be seen (appropriate lighting after dark) and be predictable. The Thousand Oaks Traffic Bureau urges citizens to drive their cars and ride their bicycles responsibly. Wear equipment to protect you and make you more visible to others, like a bike helmet, bright clothing (during the day), reflective gear, and a white front light and red rear light and reflectors on your bike (at night, or when visibility is poor). Plan your route if driving as a vehicle on the road; choose routes with less traffic and slower speeds. Your safest route may be away from traffic altogether, in a bike lane or on a bike path. You also avert motorists when you ride on some of these class I (protected) bike paths around Ventura County. Daylight Saving** Time is coming back again! Yes, this will take place on Sunday, March 10, 2019. When the clock strikes 2 a.m. that morning, you will lose one hour of beauty sleep. Daylight Saving Time begins in most of the U.S. on the 2nd Sunday of March. So try to get to bed early that night or you may feel grumpy on Monday! Especially when you realize it feels a lot darker that morning. But the good thing is, it'll be a lot lighter out at dinnertime! ** Contrary to what many of us think, it is called Daylight Saving Time, not Savings Time. Make sure to correct anyone who says it wrong if you really want to get on their nerves. But the reality of it is that we're not saving any daylight, we're just shifting it around. The United Way of Ventura County hosts www.VolunteerVenturaCounty.org, which lists numerous upcoming volunteer opportunities. Since 1998, VolunteerMatch.org has helped volunteers find over 4 million volunteer matches at over 60,000 non-profits across the country. You type in your zip code and in my case today it identified over 200 volunteer opportunities within a 20 mile radius of Newbury Park. Or visit the Local Charities section of Conejo Valley Guide and you'll find over 100 Ventura County area non-profit organizations, most of which could use your help. I clicked a few and found plenty of volunteer needs publicized on each entity's website, like MANNA Food Bank, L.I.F.E. Animal Rescue in Agoura, Hospice of the Conejo, Friends of the Thousand Oaks Library, and CareGivers - Volunteers Assisting the Elderly. You could also join one of over 80 service organizations in the Service Clubs section of CVG. The Rotary, Kiwanis, Optimist, Assistance League, Lions Club and other organizations provide needed services to others in need. The United States Coast Guard Auxiliary seeks volunteers ages 17 and up to join its local Channel Islands flotilla. Bring the USCG AUX your skills or join to develop your leadership skills through numerous free classes and workshops offered. The USCG AUX was established by Congress in 1939 to assist the Coast Guard in promoting boating safety. Volunteers assist the Coast Guard in non-law enforcement programs such as safety patrols, search and rescue, maritime security, vessel safety checks, public safe boating classes and watchstanding. Visit www.d11s.org for more information. Habitat for Humanity of Ventura County seeks volunteers for its ReStores, with shifts available Tuesday through Saturday. Visit www.habitatventura.org/habitat-restore-merchandising to learn more and sign up. How about the National Park Service? Check the local Santa Monica Mountains volunteer opportunities and Channel Islands National Park volunteer opps. Also check out the volunteer opportunities with the Mountains Recreation and Conservation Authority. There are shelters and meal providers throughout Ventura County that could use your help too. Senior Concerns in Thousand Oaks seeks volunteers for its Adult Day Care Center, Thrift Store, Meals on Wheels and other programs. The City of Thousand Oaks Public Works Department's "GoGreen" website has hundreds of conservation tips relating to composting, energy conservation, hazardous waste disposal, recycling and trash, reuse programs, water conservation, living green advice, and much more. Check it out at www.toaks.org/GoGreen. Like me, you may have a lot of junk lying around the house that you'd like to get rid of but are not allowed to place in the trash. Since May 2014, the City has run a permanent Household Hazardous Waste Facility located next to the Service Center at 2010 Conejo Center Drive, Newbury Park. Residents of Thousand Oaks and unincorporated areas of Ventura County may sign up to drop off items at this facility on Fridays/Saturdays from 9am to 1pm, except certain holiday weekends, at THIS LINK. Advance registration is required. Items accepted at these monthly collection events include acids, motor oil, antifreeze, asbestos, nail polish/remover, automatic switches, oil filters, batteries, paints, cement, paint thinners, chlorine, fertilizers, pool chemicals, fluorescent lights, propane cylinders, fire extinguishers, rodent poison, garden chemicals, smoke detectors, gasoline, solvents, used frying oil, household cleaners, weed killers and more. They do not accept tires, medications. business waste and other items. One person's hazardous waste is another's gold! The City's Hazardous Waste Material Reuse Program allows residents to take away certain items previously disposed of, such as cleaners, paint, pool chemicals, motor oils, adhesives, etc. Selection obviously will vary. No appointment needed. Just stop by ReUse Store (same location as waste collection facility) on Friday/Saturday from 9 a.m. to 1 p.m. during the weekly collection events described above. Batteries: Community Centers at Borchard Park, Dos Vientos and Thousand Oaks (next to TOHS), Home Depot, Goebel Senior Center, Thousand Oaks/Newbury Park Libraries, City Hall and Thousand Oaks Transportation Center. Motor Oil/Filters: See THIS LINK. Electronic Waste: Best Buy, Goodwill Industries, PC Recycle, Waste Management and Gold Coast Recycling Center. More info at THIS LINK. Unwanted and/or expired medications can be dropped off throughout Ventura County at designated police stations, such as the East Valley Police Station Lobby at 2101 E. Olsen Road, Thousand Oaks. Open Mon-Fri 8am to 5pm. The Earned Income Tax Credit (EITC) Program is a refundable tax credit available to individuals and families earning less than $49,194 and $54,884, respectively, in 2018. This is the federal government's largest anti-poverty measure and refunds can amount to as much as $6,431 (for 2018) for families with three or more qualifying children. The Volunteer Income Tax Assistance (VITA) program recruits volunteer tax preparers to provide free preparation of federal and state income tax returns to taxpayers with incomes less than $55,000 in 2018. VITA benefits these taxpayers by eliminating the cost of commercial tax return preparation and by securing valuable tax credits such as the Child Tax Credit and EITC. Conejo Senior Volunteer Program is offering free tax preparation services for seniors 60+ (any income level) or persons with an income of $54,000 or less, regardless of age. This service is taking place Monday through Friday, 8:30am-4:00pm at the Conejo Creek South Community Building (1350 E. Janss Rd., Thousand Oaks) and Wednesdays, 8:30am-4:00pm at the Newbury Park Library (2331 Borchard Rd., Newbury Park). There are no appointments taken; first-come, first-served. Call (805) 381-2742 for more information.